SEP 15 (WTN) - It seems that the oil economy has gone out of the control from the Modi government, because the way prices of petrol and diesel are increasing every day and the government is not taking some steps, it seems that The government has now completely abandoned the price of oil in the international market. A few days ago, union minister Ravi Shankar Prasad had clearly stated that the control of oil prices is not in the government control. The government has raised its hand, but the general public has to suffer the rising oil prices every day. Today, the price of petrol in Delhi has increased wildly by 35 paise per liter. At the same time, the price of petrol in the national capital of Delhi has reached Rs 81.63 per liter, while the price of diesel has increased 24 paise per liter. After that, the price of diesel in Delhi is Rs 73.54 per liter. 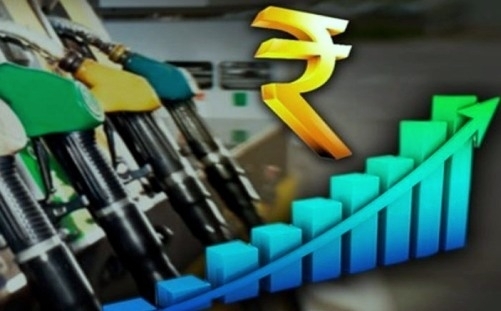 Talk about the country's financial capital Mumbai, the price of petrol has increased by 34 paise and it has reached to Rs 89.01 per liter, while the price of diesel has increased by 25 paise to Rs 78.07 per liter. Within two days the price of petrol and diesel has gone up to fifty paise per liter. The price of petrol in Delhi increased 28 paise per liter, while the price of diesel increased by 22 paise per liter yesterday. From the past one month, the prices of petrol and diesel have been continued increased steadily. According to the government, the increasing in the cost of crude oil is a huge factor. The price of crude oil is currently at $ 79 one barrel. Crude oil is currently priced at $ 79 one barrel (159 liters in one barrel). Talking about the past three months, crude oil prices had fallen up to $ 71 one barrel at one time, but the Modi Government didn’t give any benefit to the common Indian consumers accordingly the crude oil prices. Now that crude oil prices have gone up to about $ 79, the government is working to increase inflation by increasing the cost of petrol and diesel every day. The government argues that the rupee is getting weaker against the dollar, so fuel prices are increasing. But the question is, when the rupee was strong and crude oil was also cheap, then why did the government not reduce the price of petrol and diesel comparatively low? If the government aim is to increase the revenue on petrol-diesel, then the BJP will have to bear the burden in assembly and Lok Sabha elections.